JENNIFER TRAIG reads from Well Enough Alone. talk & booksigning for "Well Enough Alone"
From Bay Area writer Jennifer Traig, the critically acclaimed author of "Devil in the Details," comes a hilarious new book, "Well Enough Alone." Both a first-person account of life as a hypochondriac as well as a literary tour of hypochondria past and present, "Well Enough Alone" is a singular book on being worried sick ­ oops, we mean worried well, in all of its anxious, gruesome, hysterical and ultimately life-changing detail. 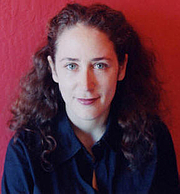 Jennifer Traig is currently considered a "single author." If one or more works are by a distinct, homonymous authors, go ahead and split the author. Jennifer Traig is composed of 2 names. You can examine and separate out names.